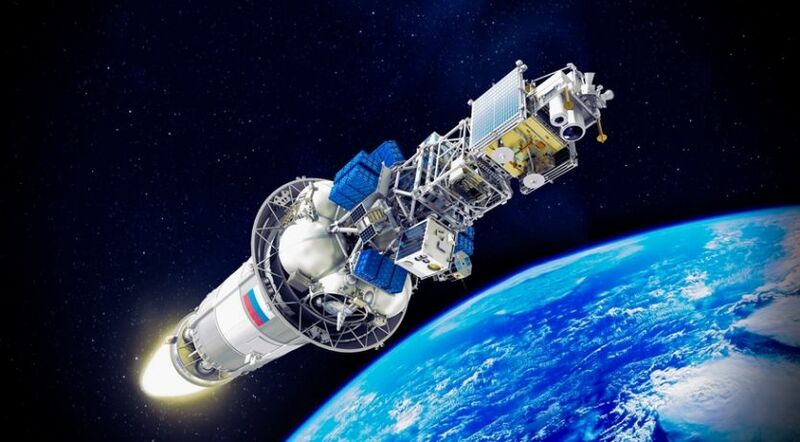 A Soyuz 2-1A rocket completed assembly on July 10, 2017 to set the stage for liftoff with a cluster of 73 satellites, the most ever launched by a Russian-built rocket. 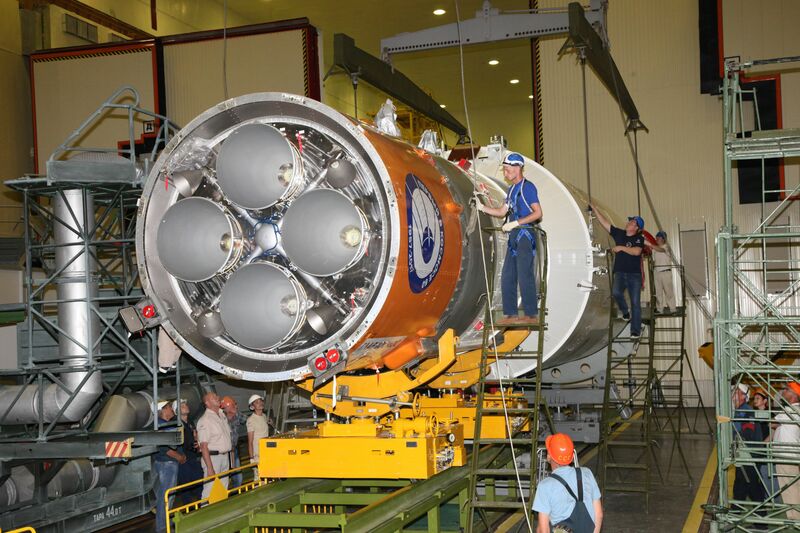 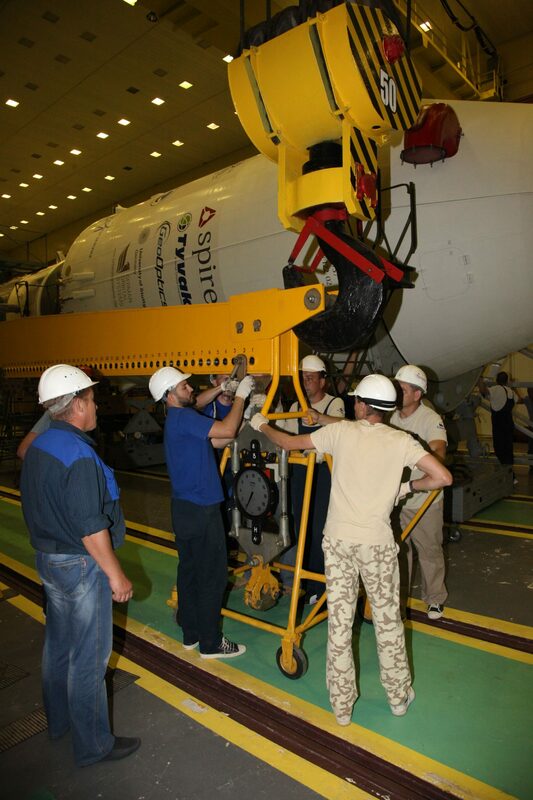 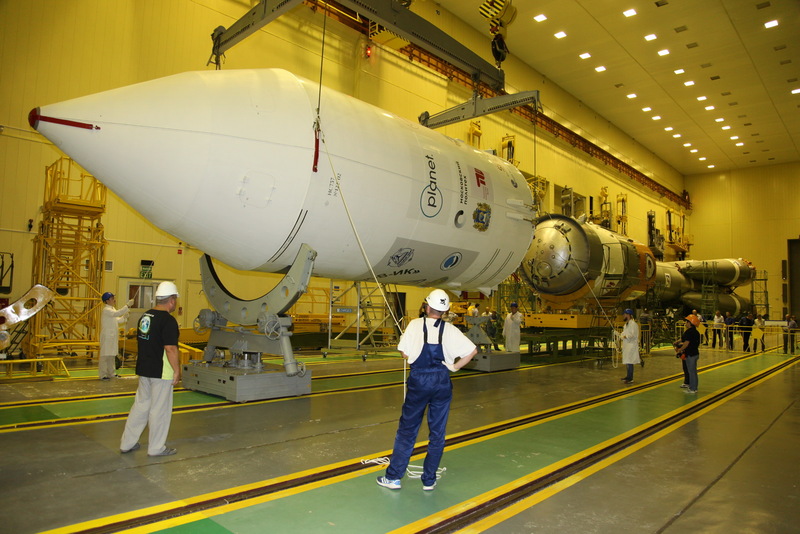 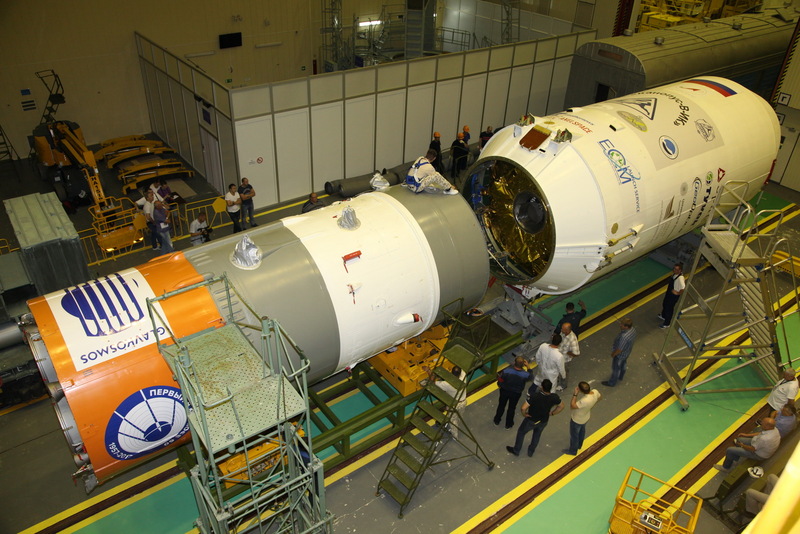 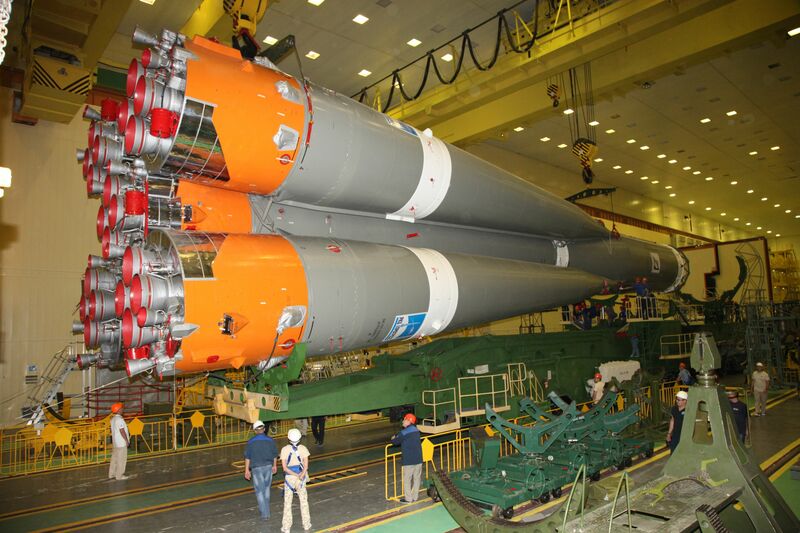 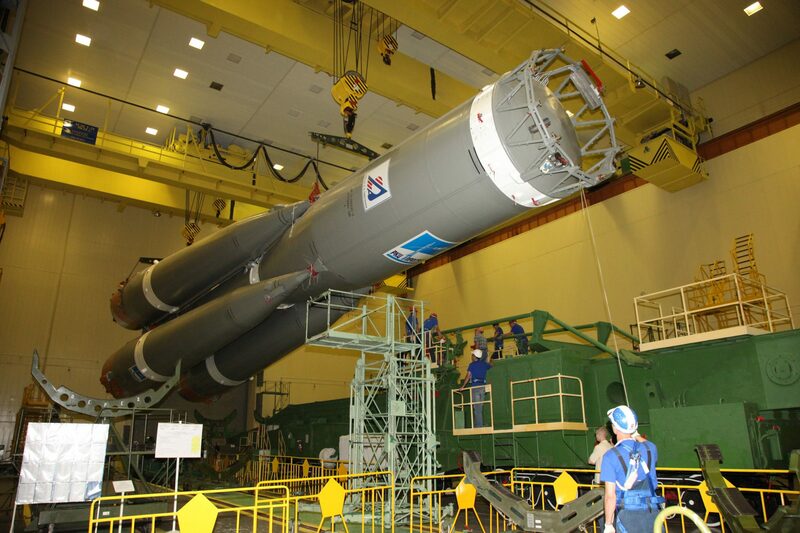 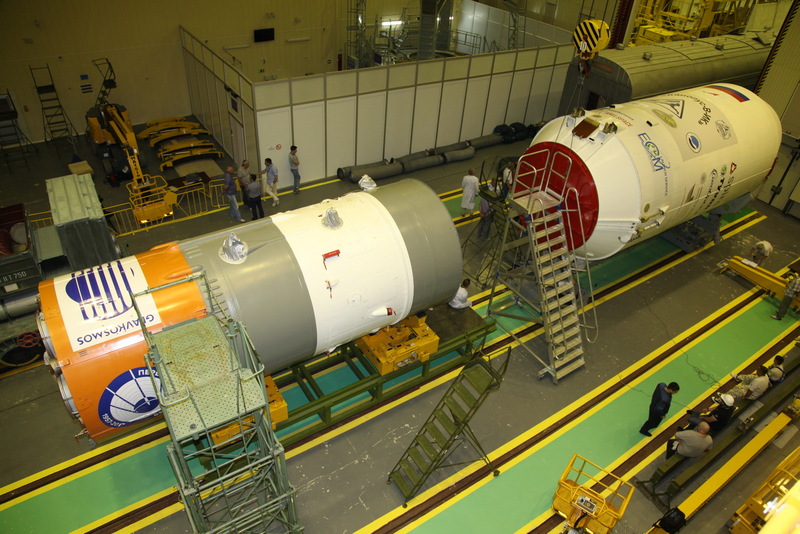 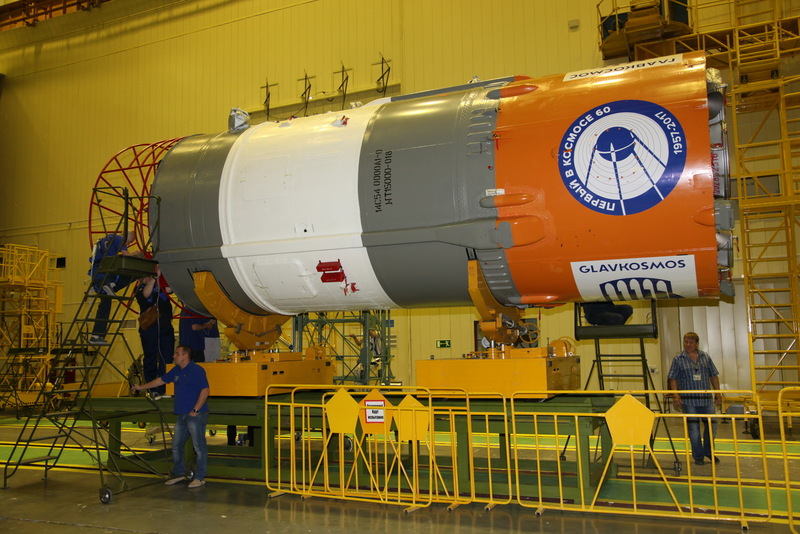 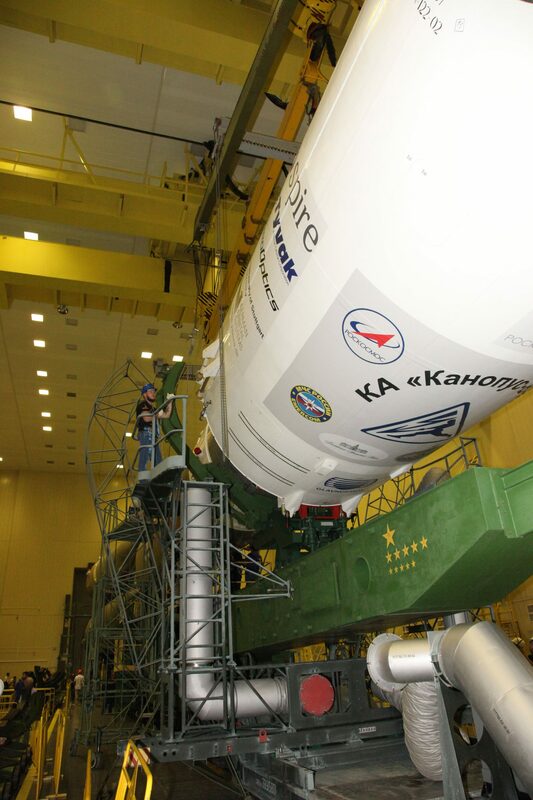 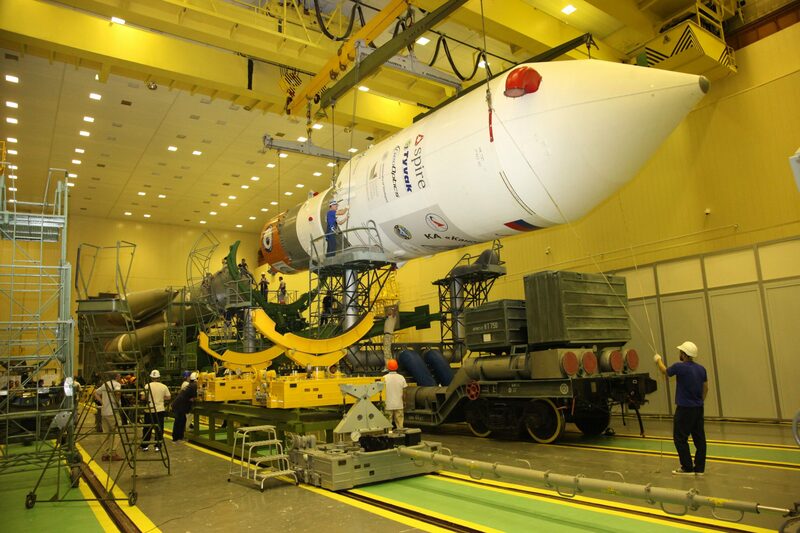 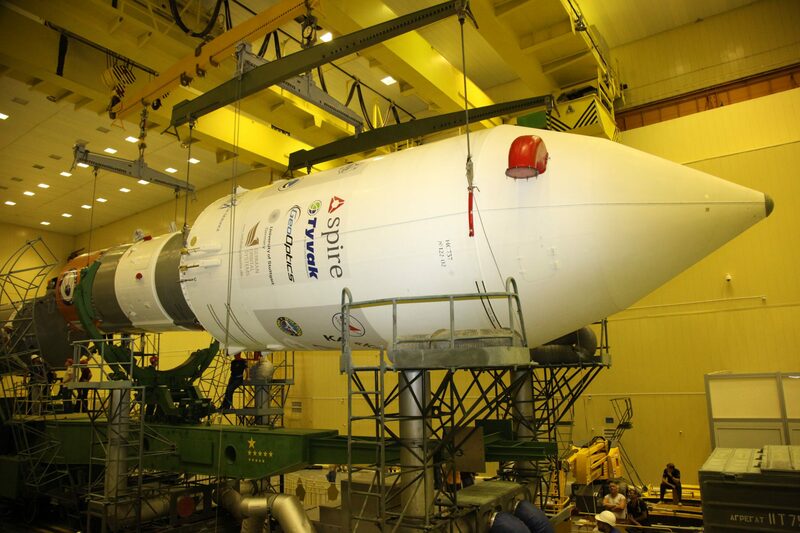 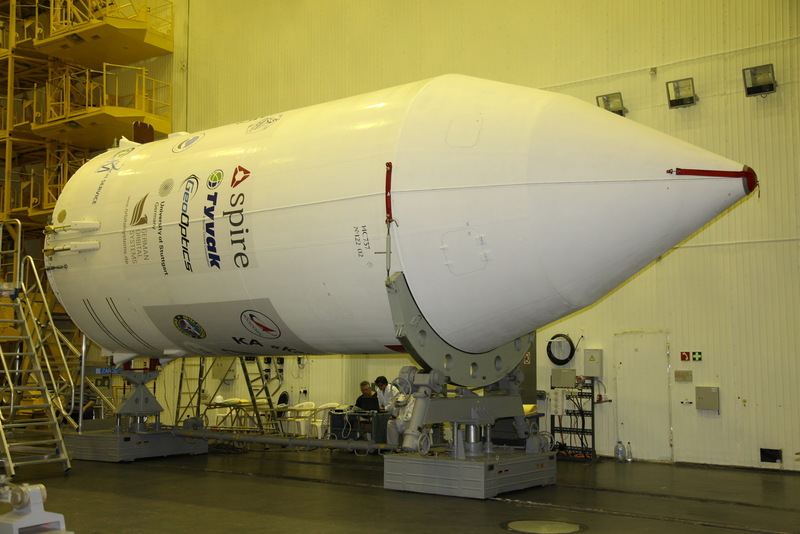 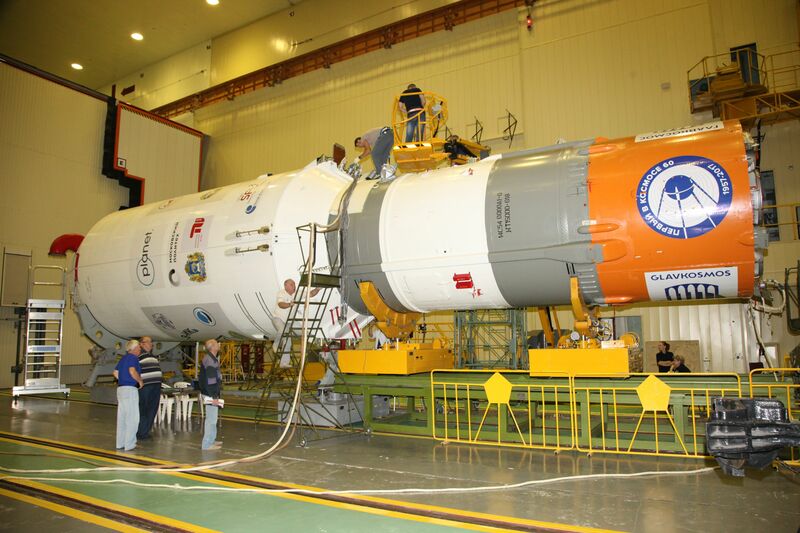 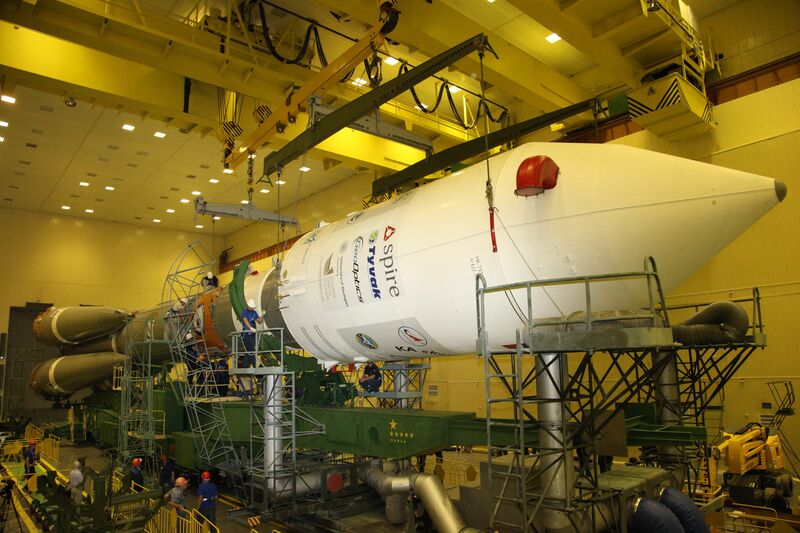 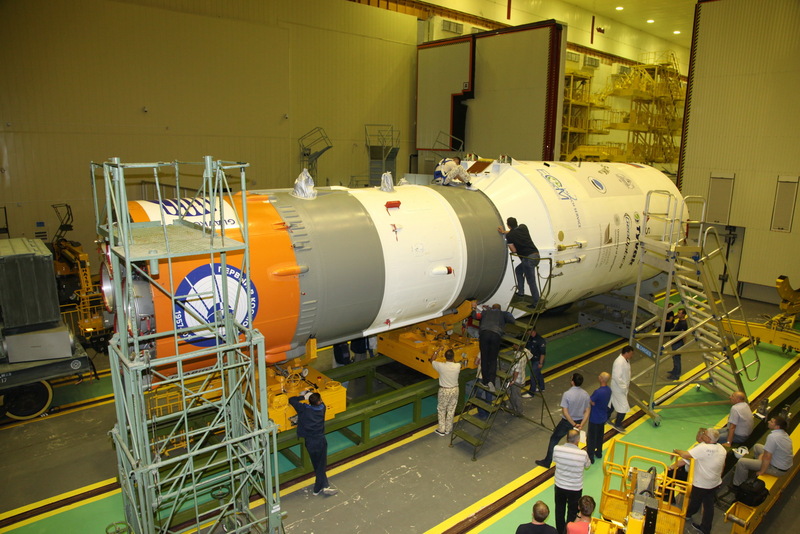 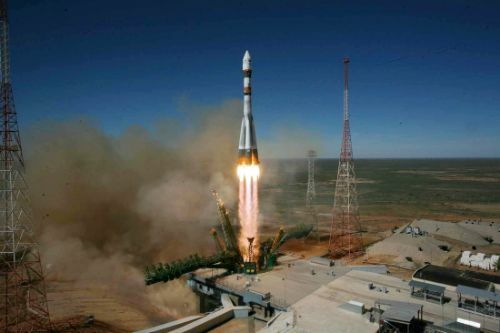 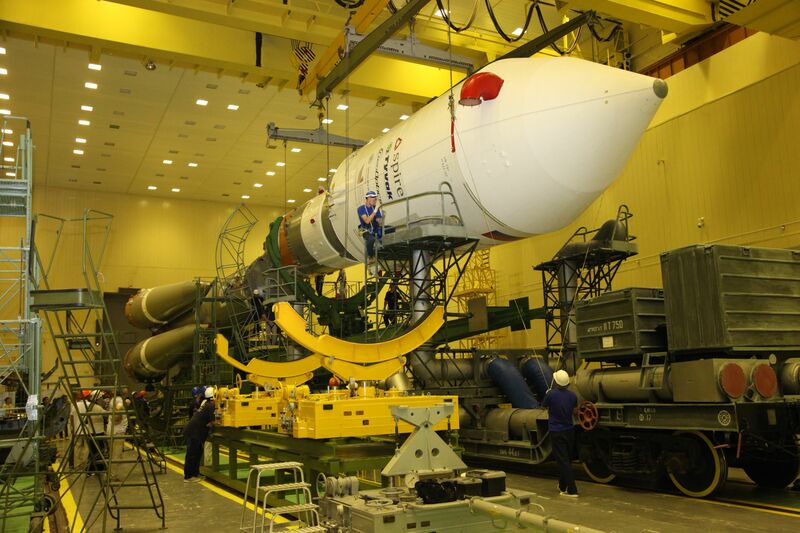 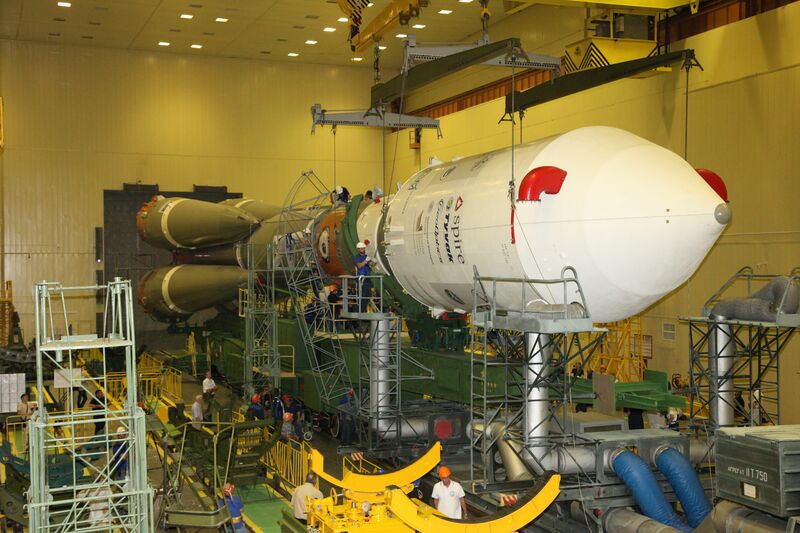 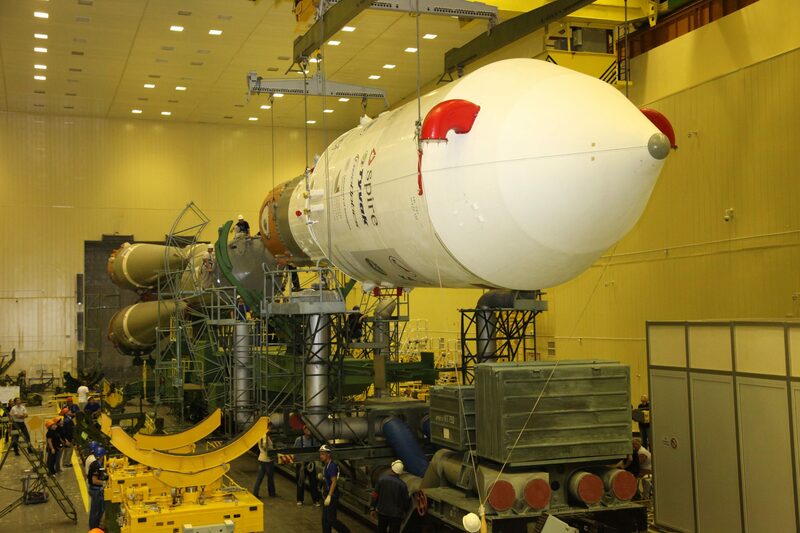 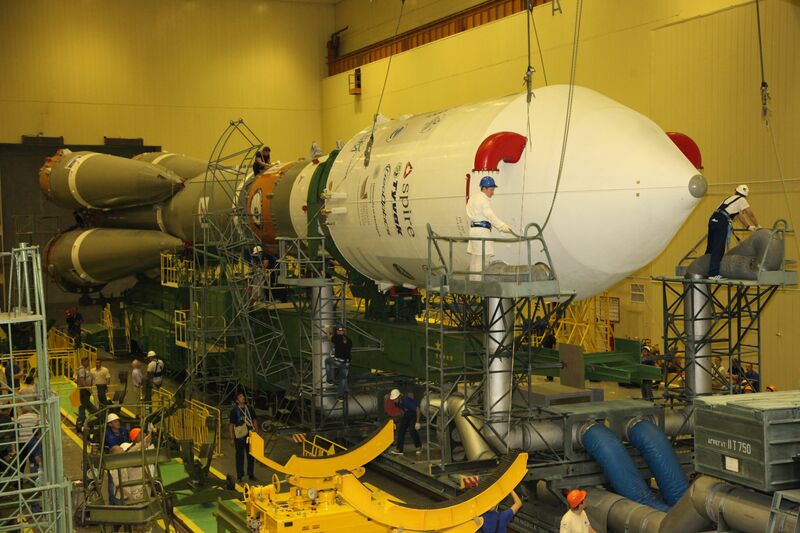 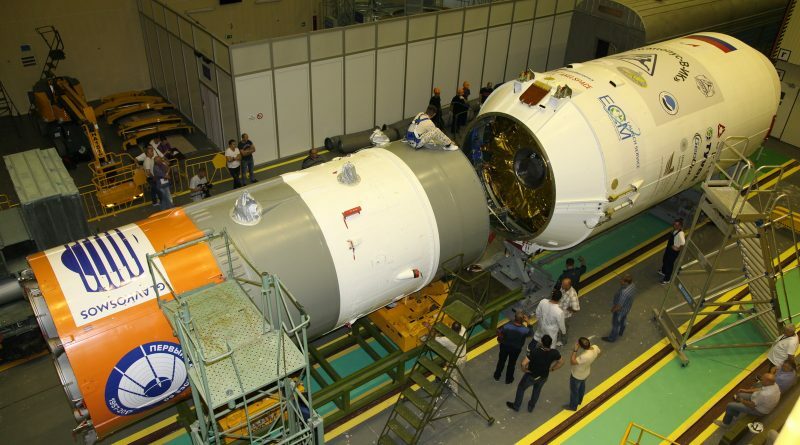 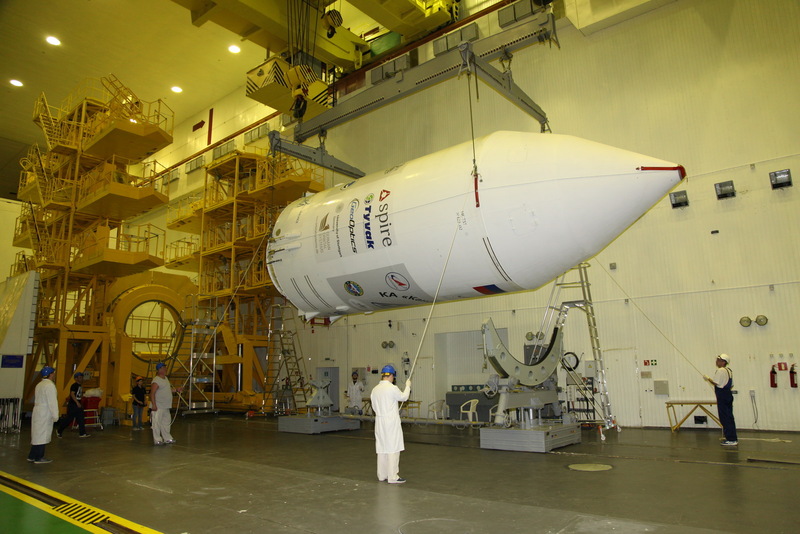 The custom-made dispenser with all satellites on board had completed encapsulation earlier and arrived at the MIK launcher integration facility on Monday to be installed on the modified Block I third stage of the Soyuz rocket. 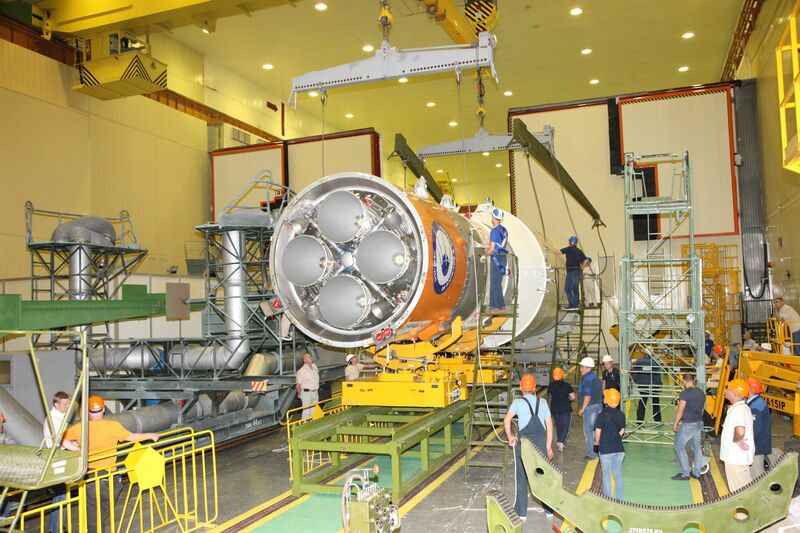 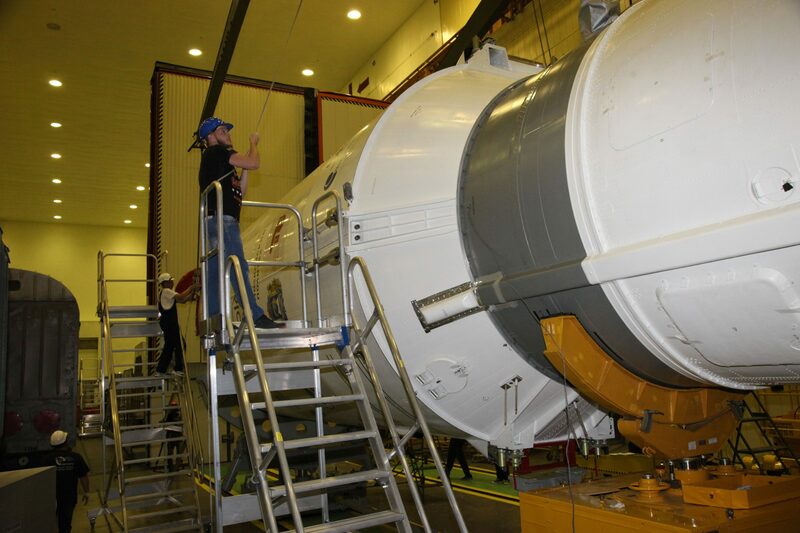 Next was the installation of the Block I on the Block A core stage which already had its four strap-on boosters installed as part of earlier integration steps; setting up for an early morning rollout on Tuesday.